The 21 individually decorated guestrooms are refined and feature high ceilings, terracotta floors, antiques, and traditional wood furnishings. Upgraded accommodations afford sitting areas, and one includes a whirlpool tub. Dorm-style accommodations are also offered in two outbuildings. To encourage relaxation, guestrooms do not include televisions. On-site, there is a gourmet restaurant, TV lounge, stables, a chapel, and a lake. Massages, spa, and beauty treatments are available for unwinding. 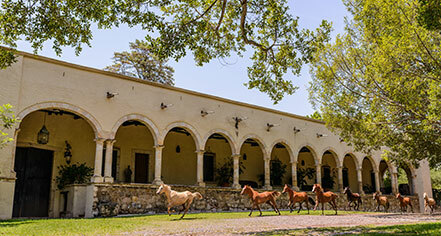 Activities at Hacienda Labor de Rivera include horseback riding and kayaking. 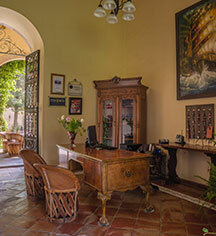 Hacienda Labor de Rivera, a member of Historic Hotels Worldwide since 2016, dates back to 1700. Hacienda Labor de Rivera is part of the famous cultural landmark the Tequila Route. This is particularly fitting as the Camarena family is still a well-known name in the tequila industry, both in Mexico and abroad. Payment: All forms of payment are accepted. Payment is required at time of booking. Visa, MasterCard, are Amex are accepted. Learn more about the History of Hacienda Labor de Rivera .